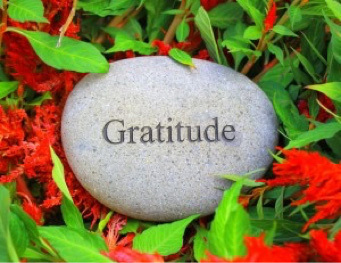 Gratitude is a vital component to experience internal riches and contentment. But does it have a positive effect on our financial riches? Actually, YES it does! And there’s evidence to prove this. Based on a research study published June 2014 inPsychological Science, when individuals feel thankful, they make better financial choices. Being grateful increased the likelihood that participants would have more patience to save their money in order to get a higher yield on their cash. David DeSteno of Northeastern University’s Department of Psychology spearheaded the cross departmental research study called “Gratitude: A Tool for Reducing Economic Impatience.” The study’s objective was to determine how various emotions influenced people’s wherewithal to make better financial choices by seeing if they could wait 30 days to receive a greater quantity of money or if they would choose a lesser amount to get it immediately. In the study, participants were given a classic evaluation of the power to delay gratification, similar to Stanford’s well-known “Marshmallow Experiment.” The Stanford experiment studied if children could delay gratification for 15 minutes by not eating a marshmallow in order to receive a second marshmallow (or other goodie) in addition to the first marshmallow. In this Gratitude study, adult participants were allowed to choose between getting $80 in 30 days or receiving $54 now. 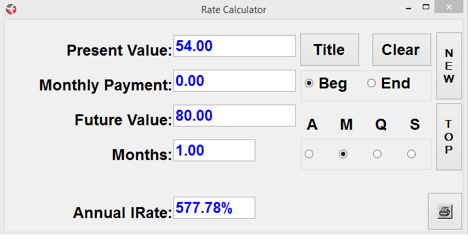 While the dollar amount was small, the rate of return was remarkable – a monthly yield of 48%, or, as the calculator below shows, an annualized yield of 577.78%! To check the influence of particular emotions on their financial decision making, participants were required to spend 5 minutes journaling about something which would make them feel appreciative, joyful, or neutral prior to making their selection. Those who were impartial or happy were quite prone to choose the $54 instead of wait for the $80, without essential difference between those in a joyful or a neutral mindset. Interestingly, researchers found that people who placed themselves in a grateful state of mind had a measurable increase in their patience and self control! Not only were the participants in the state of gratitude prone to wait to get the $80, the results also revealed that the more appreciative the feeling felt by the participants the more likely they were to wait for the larger payout. Psychological Science stated, “Be Thankful, Save More…Gratitude Helps Us Reach Financial Goals” and this may in fact be true. More and more research is showing that people usually favor short-term gratification over the longer-term prospect of a reward. A new study asserts that being thankful is the trigger needed to increase a participants’ patience and makes them more willing to wait for a larger monetary payoff. There are various ways our financial decisions are influenced by our emotions which usually leads to a negative outcome. Behavioral economists report several ways investors self-sabotage when their investment choices are dictated by their emotions. A lack of patience, suspicion, and despair can undermine sensible choices when money is involved. One research study went as far as to show that those who were incapable of feeling emotions (due to a brain lesion affecting their emotion processing) made better investment decisions than those with similar IQs and who had the ability to feel emotions. This was because those who could not experience emotions had to rely heavily on logic rather than the risk of loss – leading them to make less illogical decisions. It turns out that gratitude may be the only emotional state, backed by research, proven to help us make better financial decisions. HOW CAN GRATITUDE CULTIVATE PATIENCE THAT IS MORE ECONOMICAL? Maybe because gratitude leads us to be grateful for what we have, as opposed to wanting what we do not have. The first Principle of Empowered Economics™ would be to “THINK” from a successful mindset. When we’re consumed with notions of “not having enough” rather than gratitude, we act in ways that brings about more fear of loss, leading us to hold on tighter to what we have and not risk investing it for future growth. Through follow up studies done over many years, the Stanford Marshmallow Experiment demonstrated that the capability to delay gratification was tied to large gains later in life. The children who had the ability to successfully wait for the additional marshmallow went on to become adults, who as a group on average, scored higher on the SAT (as a teen), had better social skills, higher levels of educational achievement, and reduced rates of obesity and substance abuse. 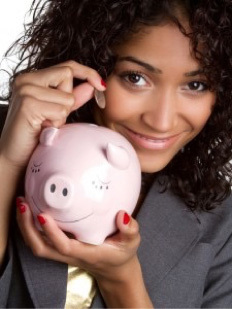 ARE YOU A GRATEFUL SAVER? It is clear that for both our peace of mind and our net worth, we must be cultivating gratitude throughout the year, not only during Thanksgiving. In the end, don’t we all want to save 12% more without any effort on our part? Incorporate the practice of Positive Focus into your life. 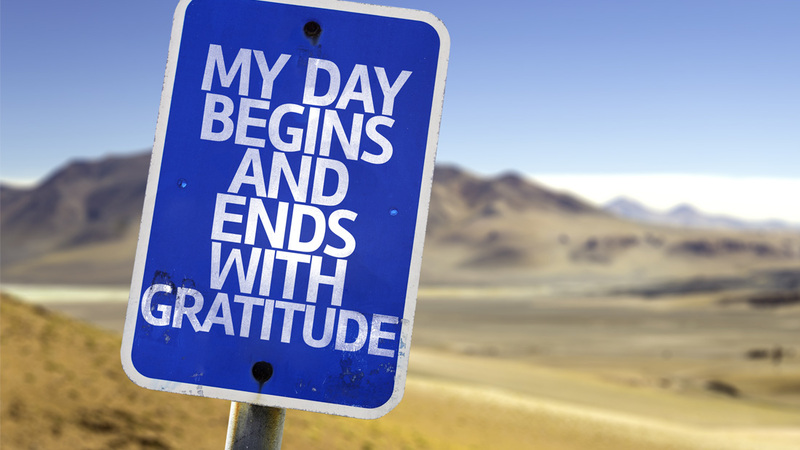 Start your day, your meals, and meetings reflecting or talking about what you’re thankful for. This is most important when things are challenging – find a way to see an optimistic outlook and learn from the challenge. Whether we’re waiting in line at a store, tackling a work challenge, or enjoying a “win” with our kids, being grateful every step of the way just makes everything better. We’re grateful for YOU! We’re so glad we are able to offer help, guidance and useful tips to assist our clients, friends, and fellow readers. This Material is Intended For General Public Use. By providing this material, we are not undertaking to provide investment advise for any specific individual or situation, or to otherwise act in a fiduciary capacity. Please contact one of our financial professionals for guidance and information specific to your individual situation.